Scroll down the page to see the different sizes and materials offered. Hydro Instruments utilizes no-lead brass corporation ball valves certified to the requirements of NSF/ANSI 61 Annex F and G, and NSF/ANSI 372. - For PVC and CPVC corporation stops, all other wetted materials are plastic. Standard solution-wetted materials include PVC, CPVC, and 316 SS. 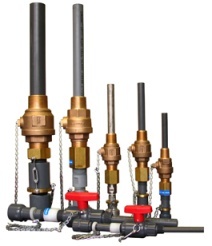 Hydro Instruments offers customized solution tube lengths and inlet connections (upon request). For more information check the Product Downloads at the bottom of this page. 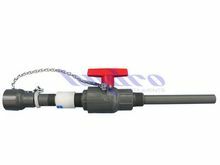 Ring & Capture Nut are PVDF (Kynar). 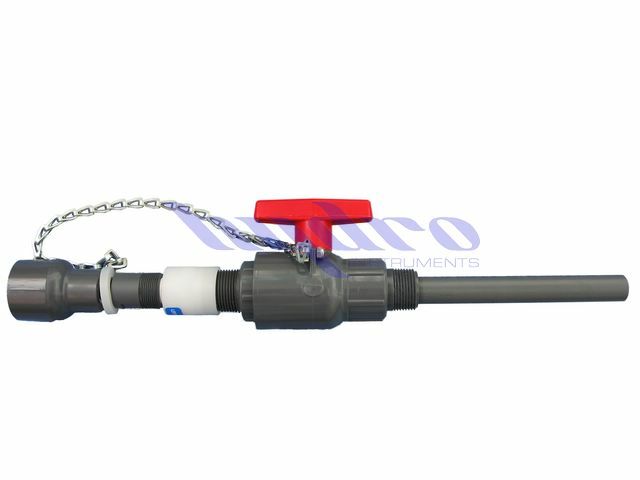 Ring, Sleeve & Capture Nut are PVDF (Kynar).